Photos by Vanessa Jackson, no reproduction without permission. 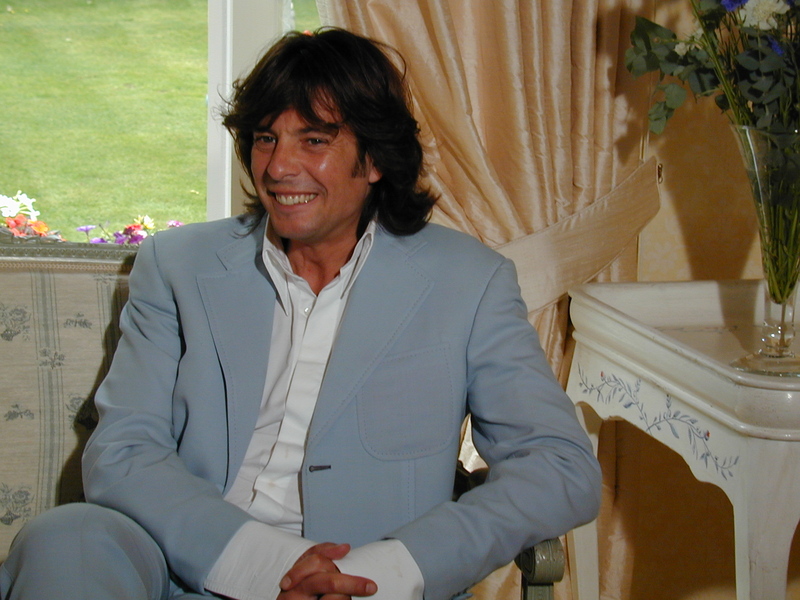 ‘Sunday Home and Garden’ was a 90 minute compilation programme presented by Laurence Llewelyn-Bowen made at Pebble Mill. The series was transmitted in the early 2000’s, probably around 2003, and went out on Sunday mornings before ‘Countryfile’. I was the series producer. We used to chose clips from other BBC programmes about homes or gardens e.g. ‘Home Front’, ‘Real Rooms’ etc. We would group programmes around themes e.g. ‘Georgian’, ‘Gustavianism’, ‘Arts and Crafts’, and then choose clips that fitted with the theme. Laurence would link the clips together and add some new content e.g. making something himself or demonstrating how to dress a room in a particular style. I used to really enjoy writing Laurence’s scripts. I found it easy to hear his voice in my head when I wrote them – especially when being sardonic or ironic! We’d record two scripts a day, so finding locations which would fit two different programmes could be a challenge. We did go to some great locations, some in London, but we also recorded two shows in Cornwall near a holiday home Laurence has there. I remember on one shoot Laurence had insisted on wearing his rather large sunglasses all day. When we’d edited the show our exec producer objected to the sunglasses, because you couldn’t see his eyes properly, and made us re-shoot the whole thing! None of us were best pleased, but Laurence never insisted on wearing his sunglasses again! How funny… I’m sure the stuff we had to do seems crazy to anyone who hasn’t worked in TV. In the same vein Vanessa I remember an exec objecting to our presenter’s poncho. Do you remember we had to convince them of how fashionable it was because the presenter was too busy to reshoot. I reckon we were sussed when the great poncho revival fizzled out!